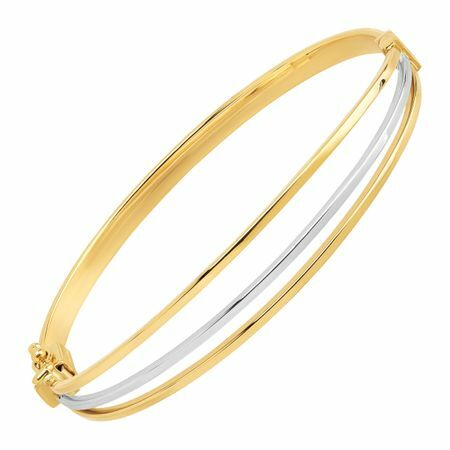 Add this two-tone sleek bangle to your jewelry collection and watch your style evolve to effortless! A great gift for a sophisticated woman on the go. Crafted in 14K gold, this polished piece features a hinged design with a box clasp for easy wearing. Piece measures 7 by 7/16 inches.